In Mexico, A Mayor Is Killed Within Hours Of Taking Office Gunmen fatally shot the mayor of a town in Oaxaca state as he walked to city hall. It was the latest in a year of killings of public officials. Alejandro Aparicio Santiago appears in a photograph issued by the Oaxaca state government. 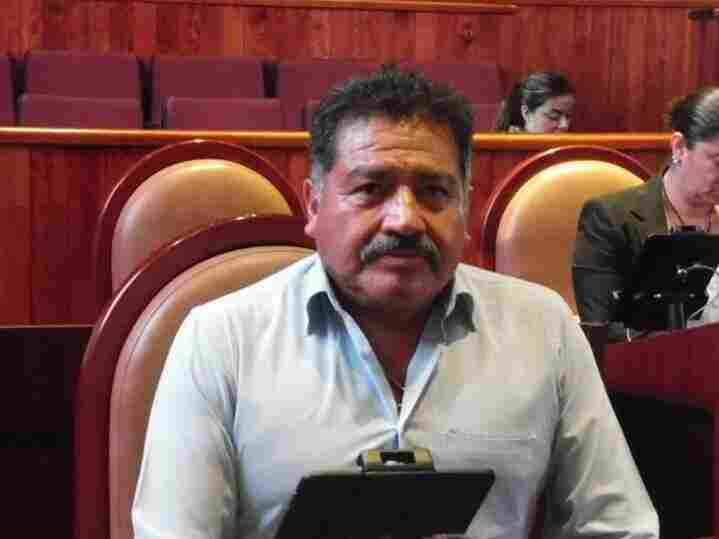 The newly elected mayor of the town of Tlaxiaco was killed within hours of taking office. The governor of the Mexican state of Oaxaca promises an investigation after a mayor of the town of Tlaxiaco was killed. Gov. Alejandro Murat says a suspect is in custody. Alejandro Aparicio Santiago had just taken office Tuesday and was walking to his first official meeting at city hall when a group of gunmen opened fire. The mayor died at the hospital, according to The Associated Press. Aparicio was a member of the Mexico's National Regeneration Movement, MORENA, the party of newly elected President Andrés Manuel López Obrador. The Oaxaca branch of the party issued condolences and a call for authorities to punish those responsible. Another MORENA politician was killed Sunday in the state of Morelos. The state government announced the death of María Ascención Torres Cruz on Twitter, writing, "Que en paz descanse," Spanish for "rest in peace." Last year, there were more than 33,000 homicides in Mexico. NPR's Carrie Kahn reported that morgues overflowed and bodies were at times stored in refrigerated trailers, with residents complaining about the stench. Holding public office can be particularly dangerous in parts of Mexico. The consulting firm Etellekt says that between September 2017 and August 2018, 175 politicians were killed. That year included campaign season for the July 1 general elections. President Obrador campaigned on a platform of restoring order in Mexico by forming a National Guard. The new president has traveled with light security, riding in a Volkswagen sedan with only a handful of unarmed citizens providing protection, reports NPR. The Economist analyzed violence against mayors in Mexico and concluded that they were often targeted after they cracked down on corruption and local crime — or sometimes because they sided with gangs and were pursued by their rivals. In Oaxaca, the magazine noted, gangs were weak but mayors were killed in disputes over land. Unlike federal and state officials, who had heavy security, mayors are often exposed. Tlaxiaco is the hometown of Yalitza Aparicio, the star of the film, Roma. It is unknown whether she is related to the slain mayor.